Re5 ApS is a Danish privately owned MedTech development company which was founded in 2000. The company has developed a new and innovative technology by which neurons in the brain can be activated by use of electric pulses with a particular shape, intensity and duration. The Re5 Treatment System takes advantage of the fact that coils can create pulsed electromagnetic fields that consequently gives rise to such pulsed electric fields in the brain. The pulses as well as the coil configuration are patented by Re5 Aps and is unique for the treatment concept. Research in the Re5 company is aiming at defining new treatment concepts for other neurological diseases based on this technology. 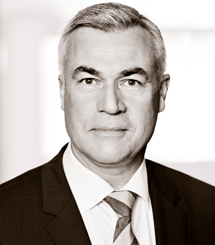 Peter Schøller-Larsen, former and from 1985-2008 CEO of K.V. Tjellesen A/S - Denmark's second largest pharmaceutical wholesaler. Peter, who established his first company more than 40 years ago, is an innovator and has been the initiator to and architect behind the development of several companies. He has an international education and background. 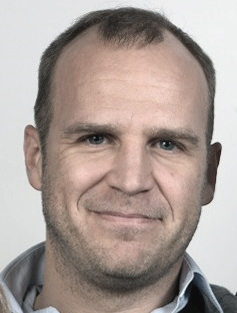 Peter joined Re5 full time as CEO in April 2008. Teddy Hebo Larsen has more than 25 years of experience from the pharmaceutical industry. He has held positions within Research & Development, Public Affairs, Disease Management, Product Management and Sales & General Management. 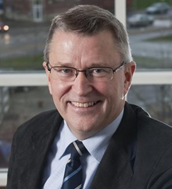 He served as the Managing Director of Eli Lilly Denmark and Norway from 1997 - 2005. In 2005 he was the Director of Lean Management, Eli Lilly Europe, and became the Director, Cultural Transformation, Eli Lilly Europe, in 2005-2007. In January 2009 he moved to the Danish pharmaceutical company Lundbeck where he became Senior VP for Corporate Human Resources. 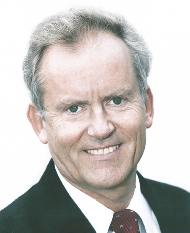 Teddy was the chairman of the Danish Pharmaceutical Association (LIF) in 2002-2003. Teddy Hebo Larsen has a background as a Doctor in Veterinary Medicine (DVM). He joined Re5 full time in January 2014. Steen Dissing has a background in biochemistry, biophysics and physiology and has more than 100 publications in international journals. He is currently professor at the Department of Cellular and Molecular Medicine, Panum Institute, University of Copenhagen. Before joining the faculty at University of Copenhagen, he had an international research career and was employed at the University of California San Diego, USA, Yale University, USA as well as other places. Steen Dissing is the inventor of the pulses and the device, and is the author of the patents giving the exclusive rights to the Re5 ApS company which includes the US patent giving the exclusive rights to Re5 ApS company for patient treatments. He has international collaborations in Sweden and USA with the aim of further developing the technology and the treatment concept in the EU as well as abroad. 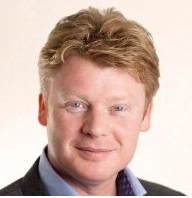 Simon Bennett has more than 20 years of international experience from the global IT industry primarily in complex, multicultural and international business environments. He has worked for Nokia, Siemens, IBM and General Electric in managing positions within Global IT Operations & Service Management, Program & Project Management, Development, Production, Compliance, QA and Test. He joined Re5 full time in August 2016. The Board of directors consists of chairman Nicolai Mallet, lawyer and partner in one of Denmark's largest law firms, Horten, Mads Brydegaard, CEO of the IT company Vidcore.com and Peter Schøller-Larsen, head of Re5 ApS. Re5 is a CE-marked medical device and thus meets the European guidelines for medical equipment (products for the diagnosis, treatment and alleviation of disease, injury and disability). CE marking requires that the medical device is safe to use, is appropriate for its approved purpose and that the benefits of using the equipment is not disproportionate to its disadvantages. In addition specific requirements for equipment material safety, product stability, labeling and instructions for use are required. The Danish Medicines Agency notified body, Presafe (former Danish Medical Devices Certification (DGM)) has issued the EC certificates to Re5 with registration number 0543. Re5 is classified as a medical device Class IIa and consequently belongs to the electro-medical equipment - a subset of medico-tecnical equipment. Medical device equipment allows physical or electrical contact with the patient and / or transfers energy to or from the patient and / or detect such energy transfer to or from the patient. 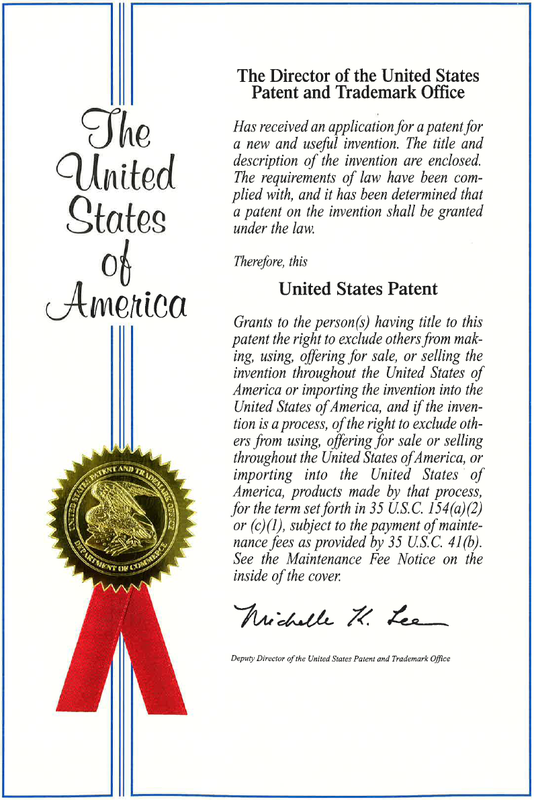 Re5 belongs to the order on medical devices (MDD). Professor, Dr. Sc. Steen Dissing, Department of Cellular and Molecular Medicine, Faculty of Health, University of Copenhagen, Denmark. Professor, dr. med. Per Bech and his research team at the Psychiatric Research Unit, Psychiatric Centre, North Zealand, Copenhagen University Hospital, Hillerød, Denmark, in collaboration with the University Hospital (Rigshospitalet, Copenhagen) and associate professor, dr. med. Erik Roj Larsen at the Department of Affective Disorders, Mood Disorders Research Unit, Aarhus University Hospital, Denmark have been the doctors conducting the two clinical trials that have been the basis for the CE approval for the treatment of refractory depression. Re5 cooperate with a leading northern European EMS manufacturing company, with an international platform for manufacturing electronics-based products that require high technology competence and flexibility through product lifecycles. The EMS supplier provides services for complete product lifecycles, with engineering, pre-production, industrialization, flexible serial production, box build and aftermarket services. The company has several facilities including Northern Europe, Asia and Eastern Europe. Their quality standards include ISO 9001:2015, ISO 13485:2012, ISO 14001:2015, Workmanship IPC-A-610, UL and ATEX.